Bishop Brian Reflects on the Immaculate Conception and Lectio Divina for Advent. 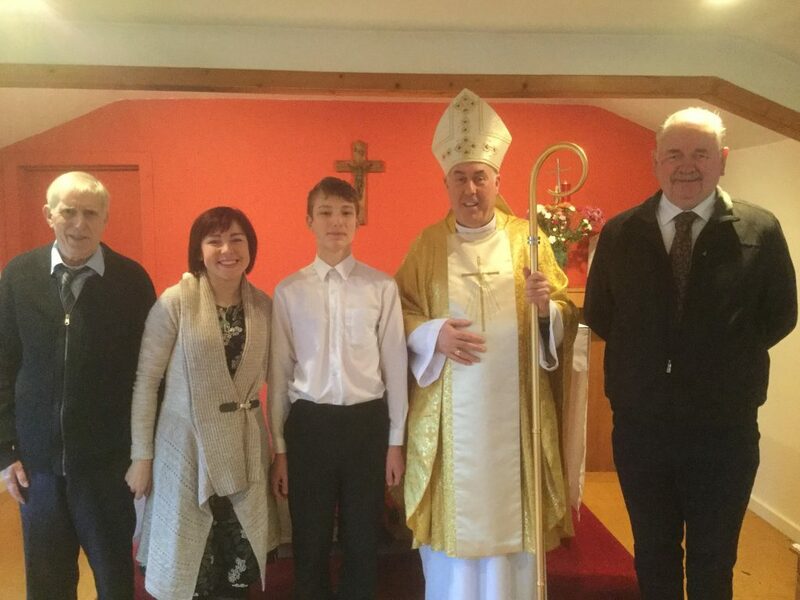 This morning I sailed to Mull to confirm Jacob, a teenage parishioner of Our Lady Star of the Sea. As it was the Solemnity of the Immaculate Conception we were able to reflect that just as the Holy Spirit filled Mary and enabled her to bear Jesus, so when God pours forth the Holy Spirit in Confirmation we receive the graces we need to be “holy and spotless and live through love in his presence”. After the Confirmation, I headed by ferry to Kilchoan, Ardnamurchan which is part of Mingarry parish. Presently Mingarry has no priest and I will celebrate the Sunday Advent Masses there. The parish contains several remote peninsulas and although geographically large it is sparsely populated. For Advent, I have invited each distinct area to gather in someone’s house for Lectio Divina. This evening I led the Ardnamurchan parishioners in meditation. Obviously, we were small in number but it was beautiful that, in the most westerly part of the Scottish mainland, people were preparing the Way of the Lord by praying over the Sunday Gospel. This Advent let us listen to God’s Word and straighten our paths for the Lord so that, like Mary, we will always say ‘Yes’ to God.